Power Hungry: 8 Super Foods for Runners! Want to get stronger, faster and leaner? Eat these eight super foods and watch your race times (and unwanted lbs) drop like a bad habit. Whether you want to run faster, lose a few post-holiday pounds or both, one simple strategy will help you reach your goals: Eat more nutrient-dense food. Instead of chomping on oversized bagels and sugary muffins that provide an avalanche of calories with few vitamins and minerals, fill your plate with foods that deliver a hefty dose of nutrients per serving. These eight power-packed items should be staples in every runner’s diet. Eat a serving of each once or more per week and we guarantee you’ll be healthier, happier and (most likely) lighter by 2014. Why you need ’em: They might be blue, but there is nothing sad about these berries. Researchers at Appalachian State University fed a group of runners one cup of blueberries daily for six weeks, while a control group was given no berries. Volunteers who ate the berries had less inflammation and better immune health following long runs. 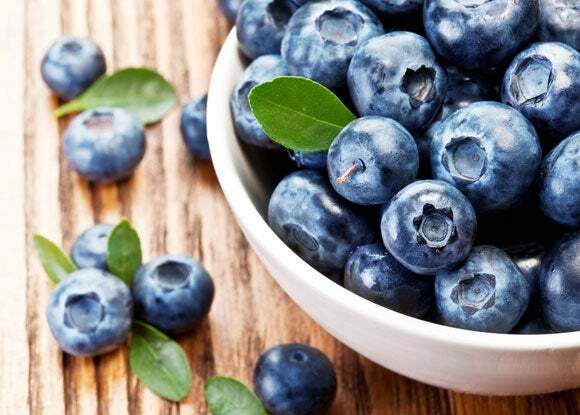 The blue health bombs are also a good source of fiber, vitamin K and vitamin C.
How to eat ’em: Blueberries are a smart addition to oatmeal, smoothies and pancake batter. When out of season, turn to frozen blueberries for better flavor and nutrition. Why you need ’em: Research shows that beets are serious performance boosters. Their abundance of nitrates helps runners’ muscles use oxygen more efficiently. This crimson veggie also contains betalains, potent antioxidants that help fight cell-damaging free radicals. What’s more, beets provide a healthy dose of folate, potassium and dietary fiber. How to eat ’em: Roasting beets produces deliciously sweet results. Give the veggies a good scrub in the sink, then cut them into chunks. Mix the beets with olive oil, spread them out on a baking sheet and roast at 400 degrees for about 25 minutes. Serve as a salad with fresh arugula and goat cheese. 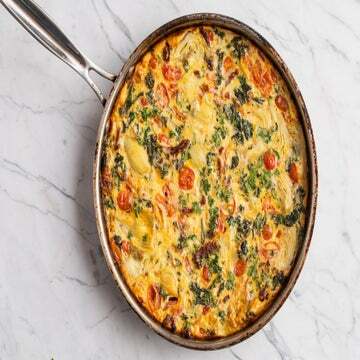 Why you need ’em: Iron-rich lentils help you run stronger for longer. In a recent Cornell University study, women with low levels of iron, even those who weren’t clinically anemic, displayed impaired endurance and increased muscle fatigue. Inexpensive lentils also provide a myriad of other vital nutrients including folate, thiamin, phosphorus and magnesium. How to eat ’em: Avoid chemicals that may leach from a can by opting for dried beans. To prepare, simply place lentils in a saucepan and add enough water to cover by an inch. Bring to a boil, then reduce heat, cover and simmer until tender, about 20 to 30 minutes. The iron in lentils is better absorbed in the presence of vitamin C, so pair the beans with vegetables and fruits. Why you need it: Think of quinoa as the MVP of the grain aisle. This South American grain contains a high-quality protein, meaning that it helps support exercise recovery and muscle growth. Quinoa is also brimming with magnesium, an often under-consumed mineral linked to improved strength and reduced risk of Type 2 diabetes. Studies suggest women who trade re ned grains for whole ones such as quinoa are more likely to have healthier weights. How to eat it: Cook quinoa according to package directions and mix it in soup, chili, pilaf, casseroles and stir-fry recipes. Quinoa flour can be used in place of white flour for baking. Why you need ’em: The orange-tinged spuds provide runners with the necessary carbohydrates to help support regular physical activity, as well as big-time amounts of beta-carotene, which improves bone, immune and eye health. Each potato supplies 4 grams of fat-fighting fiber and healthy amounts of potassium, an electrolyte that enables your body to convert carbohydrates to glycogen, the most important fuel for high-intensity exercise. How to eat ’em: Similar to beets, roasting these potatoes amplifies their sweetness. 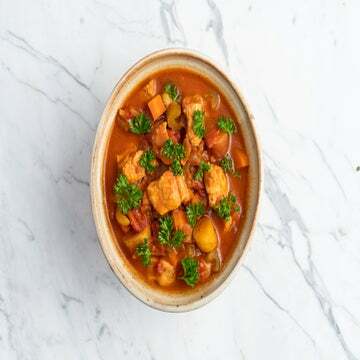 They are also a wonderful addition to curries, soups and stews. For a double dose of power foods, top a roasted potato with Greek yogurt for a carb- and protein-filled snack—perfect post-run. Why you need ’em: What they lack in size, these little fish make up for in nutritional benefits. Aside from providing protein and heart-healthy omega-3s, sardines deliver a hefty dose of vitamin D. Recent data suggests this vitamin offers protection against winter viruses and increases muscular strength. How to eat ’em: Buy sardines packed in water, tomato sauce or extra-virgin olive oil. Add the fish to pasta sauce, or mash sardines with breadcrumbs, eggs, spices and herbs to make nutritionally-charged fish cakes. Why you need it: Deliciously thick Greek yogurt offers a plethora of health benefits. It’s chock full of probiotics, (i.e., good bacteria), which improve immunity and digestive health. This yummy treat also delivers bone-building calcium and twice the muscle-friendly protein as traditional yogurt. How to eat it: Stir yogurt together with granola, berries and chopped nuts for a stellar snack. The thick texture means Greek yogurt is a great replacement for sour cream and mayonnaise in egg salads, sandwich spreads and veggie dips. Why you need it: Few foods provide the nutritional punch per calorie of kale. In just one serving, you get more than your daily quota of immune-boosting vitamin A, bone-strengthening vitamin K and vitamin C. Scientists at Arizona State University found that higher vitamin C intake lowers heart rate during exercise, which can reduce the perception of fatigue and exertion.